Do you know what a hoodoo is? The name to me sounds a lot like “voodoo,” and according to the Internet, can be used interchangeably with it. But there’s an alternate definition you may not have heard of. A hoodoo can also mean a column of weathered rock. Check out this view of a vast number of hoodoos that I saw on Friday at Bryce Canyon National Park in Utah. Now you know! 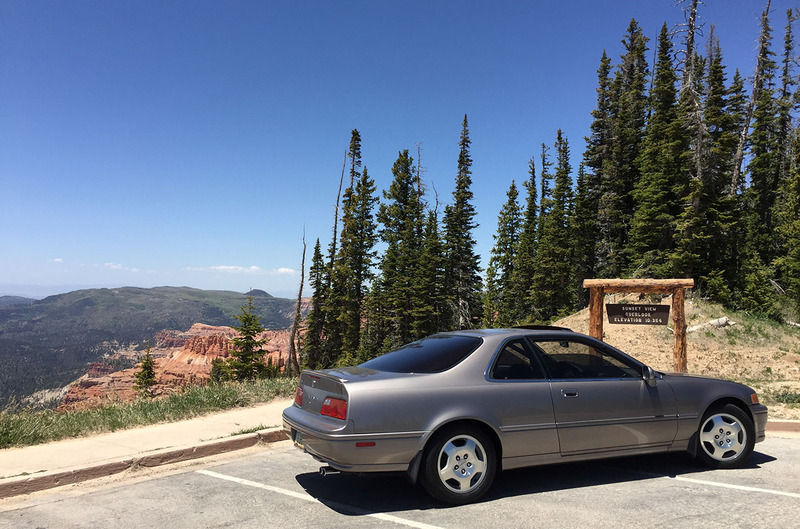 This past weekend’s 4-day, 1,000-mile road trip took me through Bryce as well as some of Utah’s other scenic wonders. It was the perfect escape from the day-to-day grind. 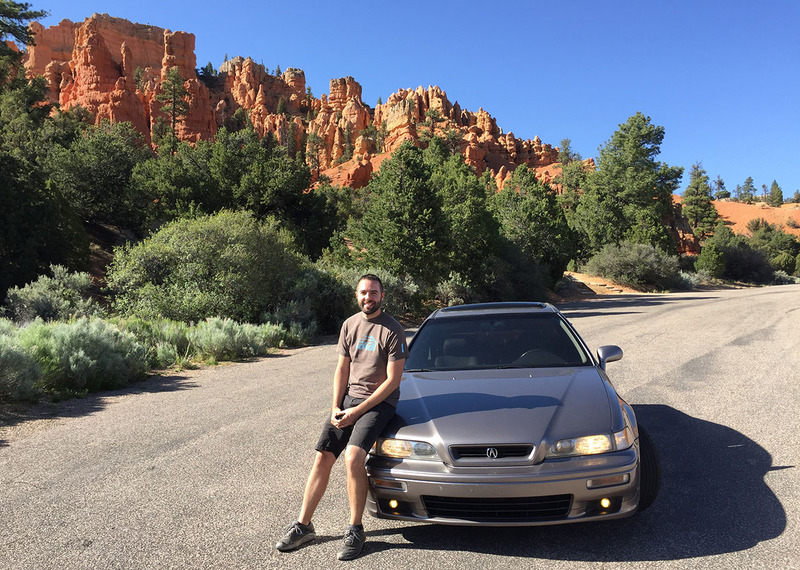 I’ve visited Bryce a few times in the past, including when my friend Peter’s TSX rolled 200,000 miles three years ago and a trip to “Hell’s Backbone” in the ILX five years ago. Still, I can never get tired of seeing that amazing landscape. I took for granted that I grew up with so many beautiful national parks virtually in my own backyard in southern Utah. 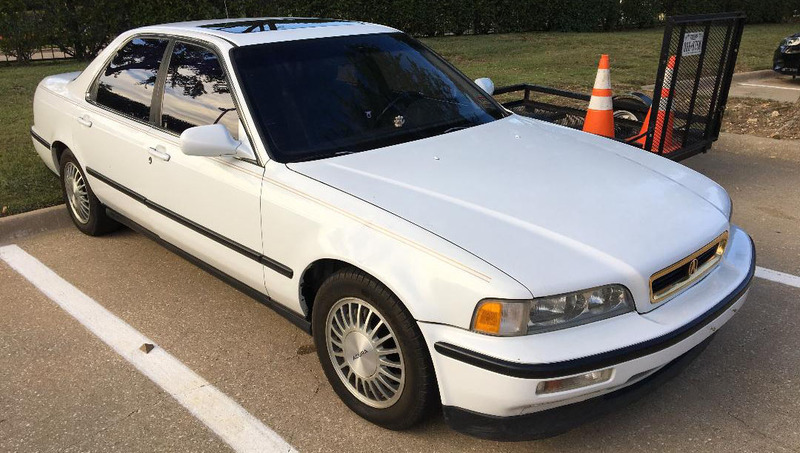 My tried and trusty Legend coupe was the chariot of choice for this backroads adventure, and it delivered perfect reliability as I knew it would. 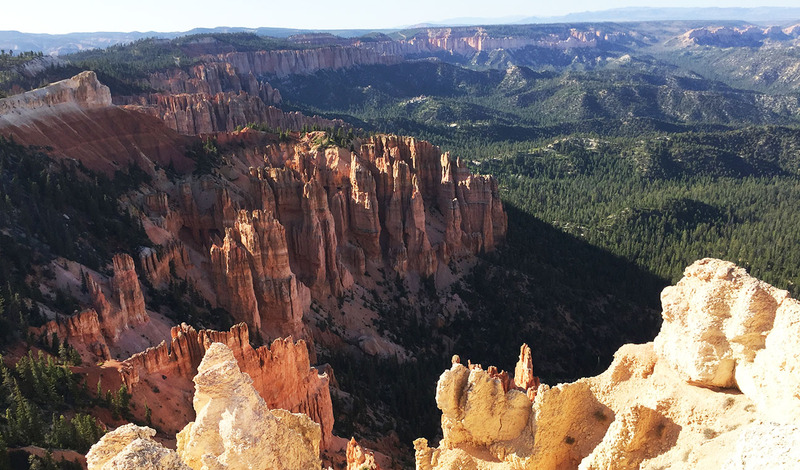 The idea for this trip came about because two friends were competing in the Bryce Canyon Ultra Marathon – a “50K” (32-mile) trail run that would subject them to some of the region’s most challenging terrain but also some of the most rewarding views. I think they’re nuts, but then again my own sanity is a little questionable too. 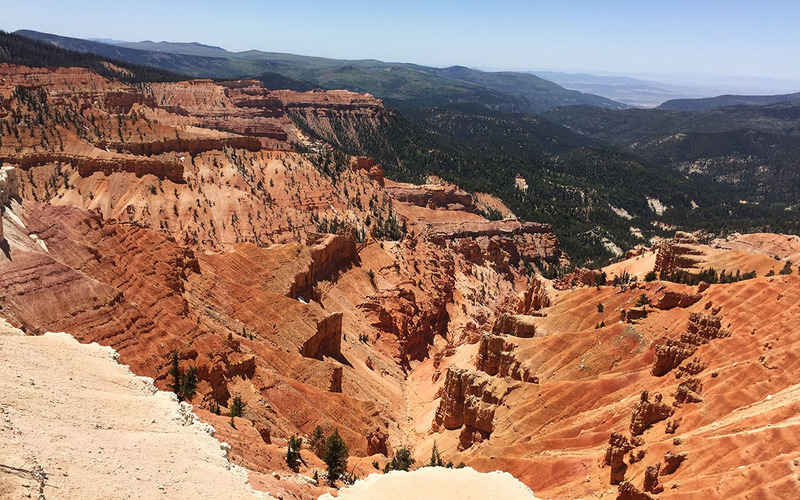 Bryce is one of five national parks in Utah and perhaps one of the least traveled – just the way I like them. The way we got there was pretty straightforward, with a night in my hometown of St. George on Thursday, and then northbound to Cedar City. From Cedar, that’s where things got interesting. 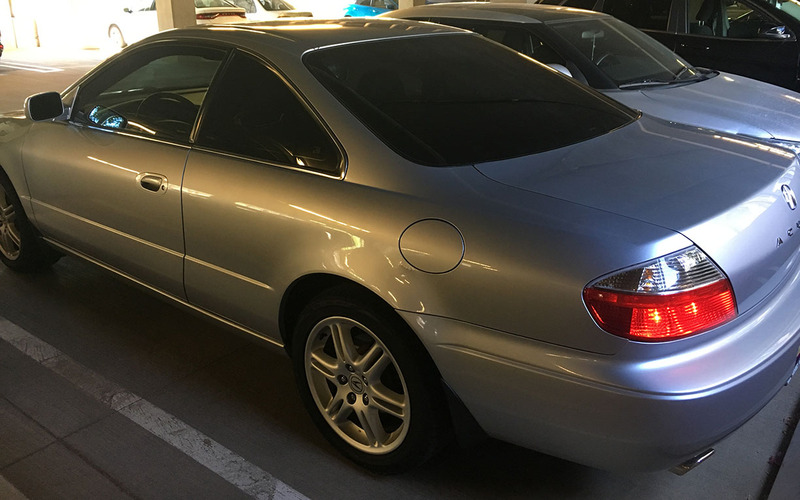 We climbed nearly 5,000 feet in elevation on Highway 14 eastbound over the course of 18 miles – windows down, sunroof open, and soaking in the glorious temperatures. 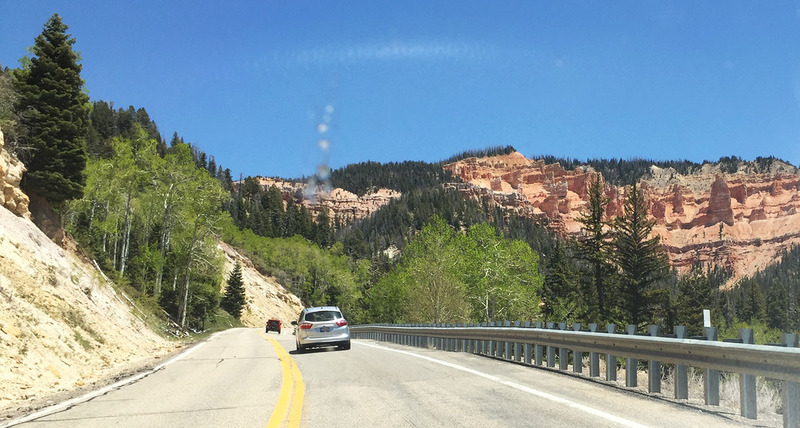 From there, we hooked north on Highway 148 past Cedar Breaks National Monument. 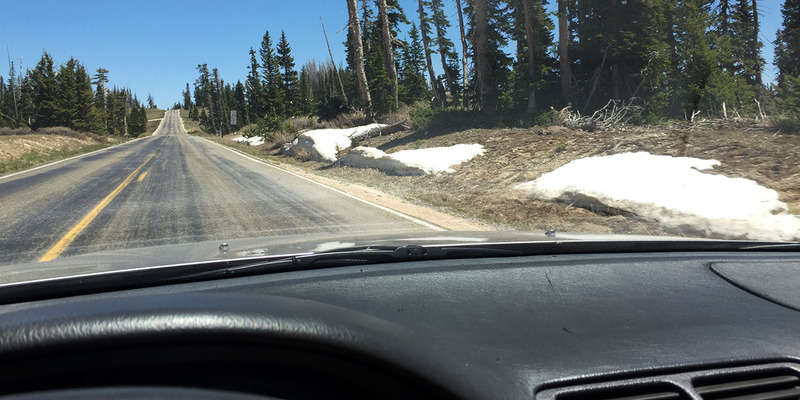 By that time, we were at 10,000 feet in elevation – high enough that even on June 1, we saw snow on the roadside. Cedar Breaks was awe-inspiring. We were also delighted that there was next to no traffic. The road is closed from November through May so it had just recently opened back up for the season – literally, the visitor center opened the very day we were rolling through. 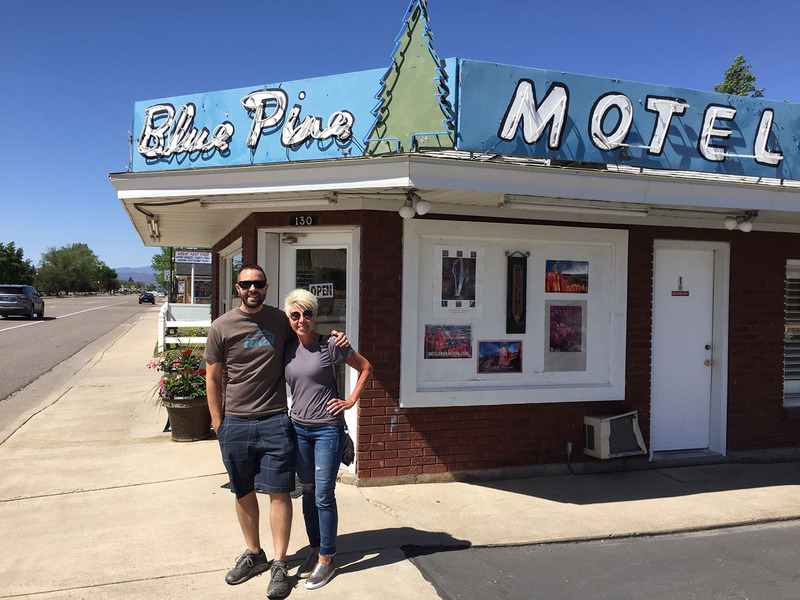 Our destination for the next two nights was Panguitch, Utah – a tiny (2,000-resident) town on Highway 89 and home to the Blue Pine Motel, which has been there since 1901. While the accommodations weren’t first class, they were definitely warm and inviting. It’s a family owned atmosphere and a step back in time. We loved our stay. My friend and I visited Bryce Canyon later that first afternoon, some 20 minutes away, and soaked in some of the views from Rainbow Point and Sunset Point. Cars are $35 but we picked up an $80 annual parks pass for admission into any of the National Park units for an entire year. Seems like a decent value! 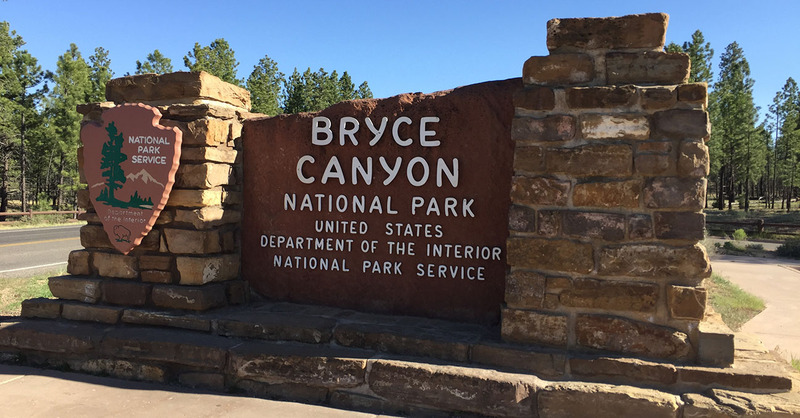 Bryce Canyon National Park was established 90 years ago and covers about 55 square miles. Navigating it is easy since there’s just one main 18-mile-long, north-south road with a loop at the end. We hiked 1.3 miles round trip on the Navajo Trail loop at Sunset Point before hitting up the restaurant inside the lodge for a delicious bite to eat. 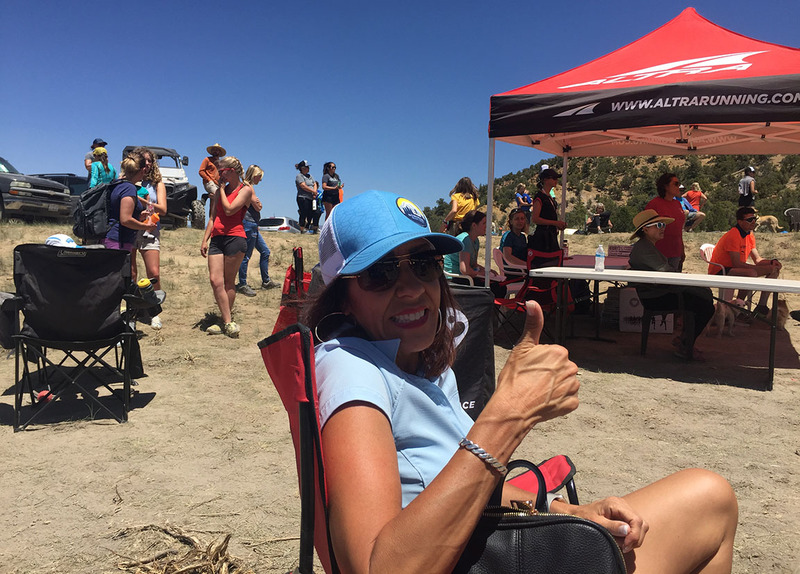 The runners rocked their event, which started and ended in the foothills east of the small town of Hatch on Saturday. 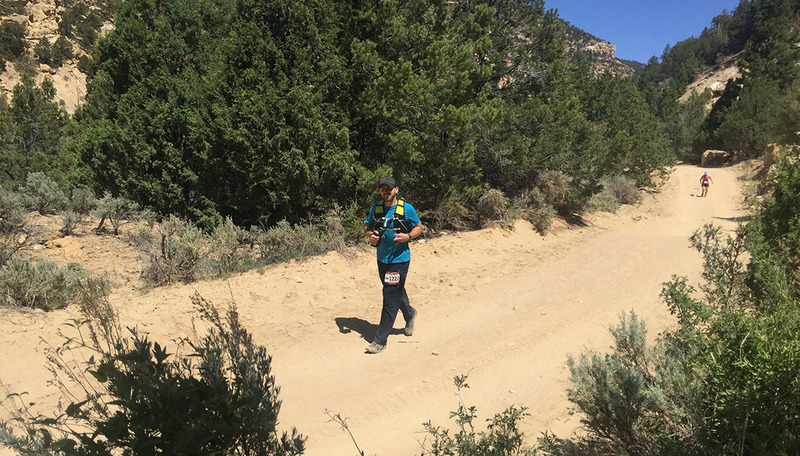 The level of difficulty was pretty extreme, with a 7,000-foot elevation change over the course of the 32 miles, along with high temperatures, rocky or sandy footing, and windblown dust. Our friends came in at 9 and 10 hours – exhausted but feeling accomplished. We treated them to Diet Cokes on ice, just as they’d requested. 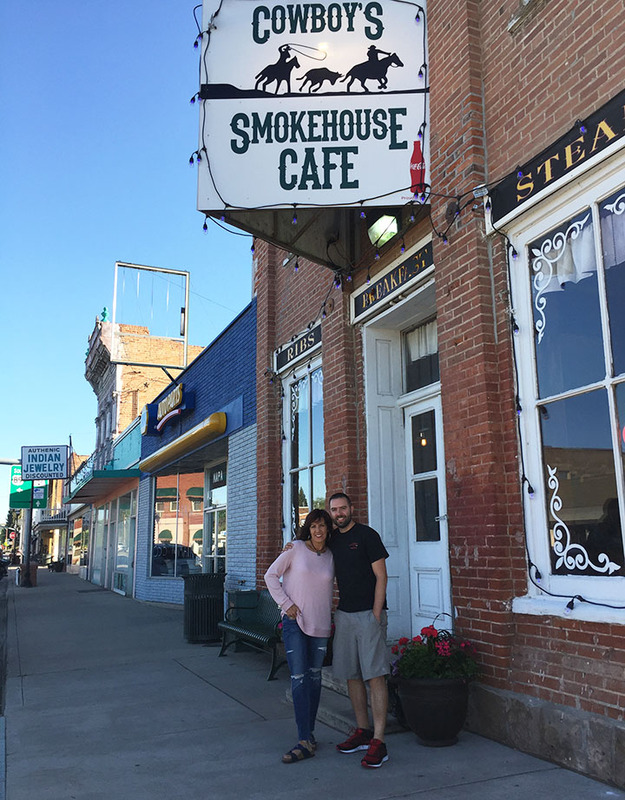 The small town vibe continued when we made friends with the owner of Cowboy Smokehouse back in Panguitch, who gave us a free order of bacon-wrapped sweet potatoes for our appetizer. It tasted better than it sounds. By Sunday morning, it was time to make the trek back home, so my friend and I headed out southbound on Highway 89 under a bright blue sky. We stopped just once in Utah – for fuel in Kanab – but decided to lollygag a little at the Arizona/Utah state line in Page. 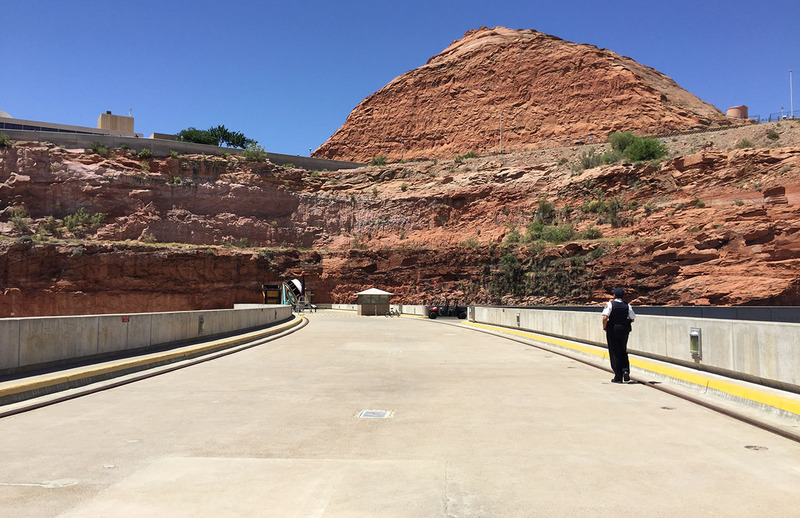 We happened to arrive at the Glen Canyon Dam at Lake Powell just in time for a 10:30 a.m. tour (and it would only cost us $5 each). Score! I’ve always wanted to take a dam tour. It was a dam good time. For 45 minutes, we were part of a group of 15 people listening to a tour guide teach us about the dam and its history. We got to ride in two elevators, down a total of over 700 feet to the base of the canyon where the Colorado River runs below. 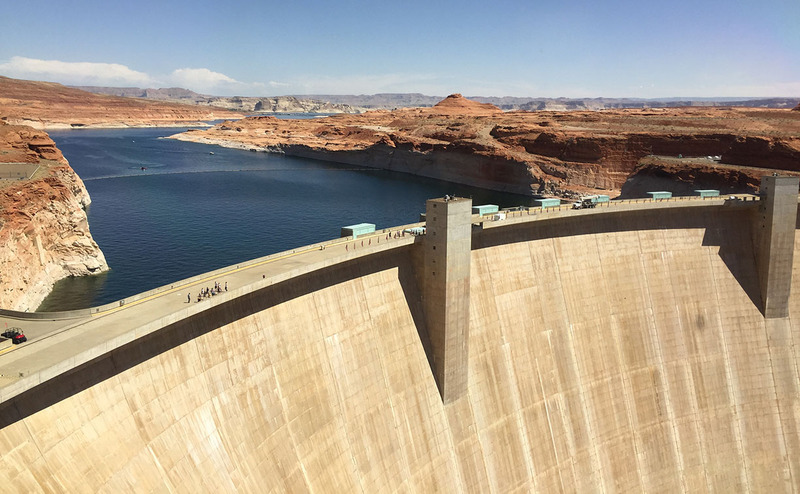 The dam was completed in 1966 but the lake behind it, Lake Powell, took 16 years to fill up! 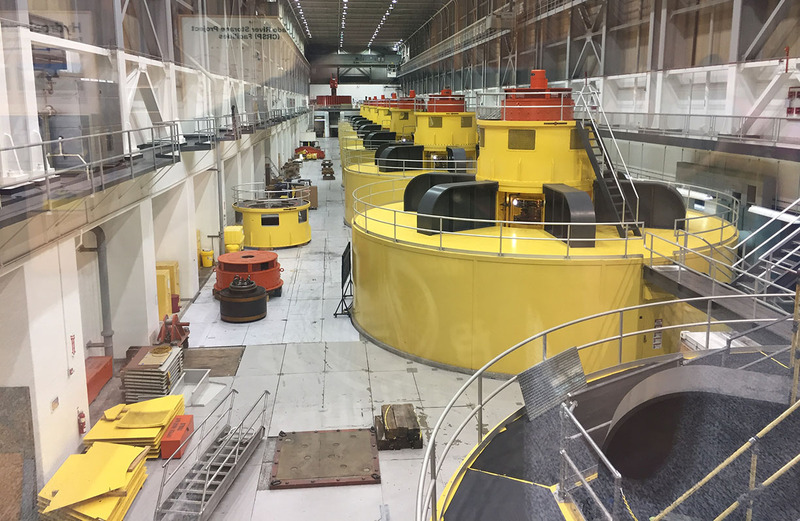 Today there are 8 turbines capable of generating 1.32 gigawatts of power. When I read that on one of the signs, it made me think of Doc Brown’s quote in Back to the Future about needing “1.21 gigawatts.” Great Scott! My favorite part of the tour was learning that for 1 year only, traffic did flow over the dam itself. I asked our tour guide about it because I could see the the faded remnants of a double-yellow line on top of the concrete. She told us that for just 1 year (1978) traffic was directed across the dam, because construction was taking place on the adjacent bypass bridge. 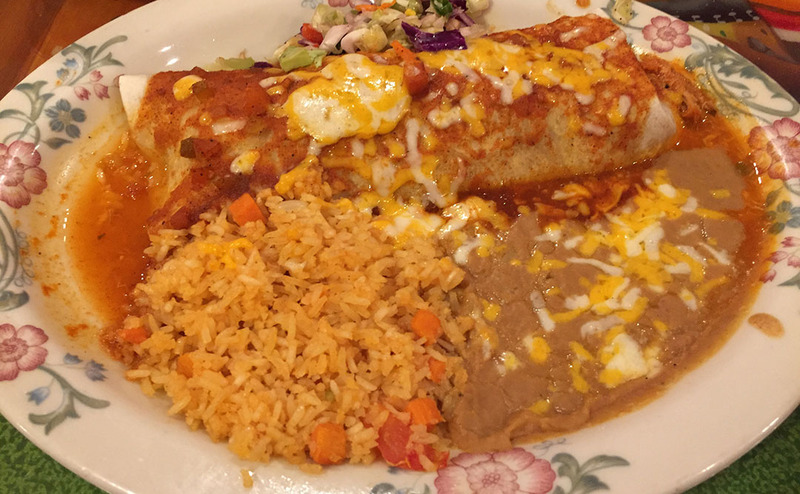 For lunch, we hit up Fiesta Mexicana in Page, then worked our way to Flagstaff on Highway 89 and connected with Interstate 17 for the final 2 hours of downhill slide into the Phoenix Valley. If only we could have brought some of the cooler temperatures back home with us! The oven has been preheated and we are ready to bake here until October or so. Gotta love it! Here’s something new for the blog. 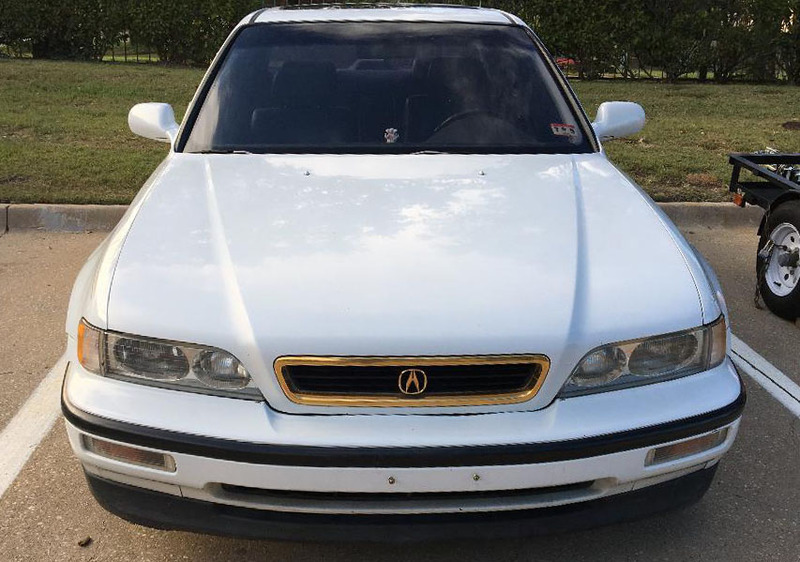 I have 3 readers who are selling cars and who contacted me about listing them here. Does anyone have interest in these? Let me know and I’ll put you in touch with the sellers. Small town talk: I had to ask someone what “chicken lights” are. 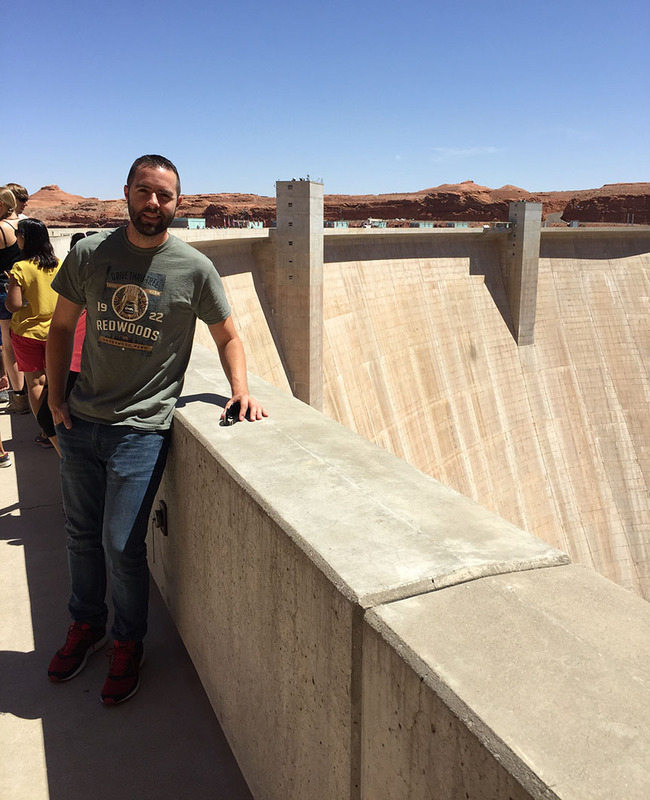 Hanging at Glen Canyon Dam. Watch your step! Have a dam good day! 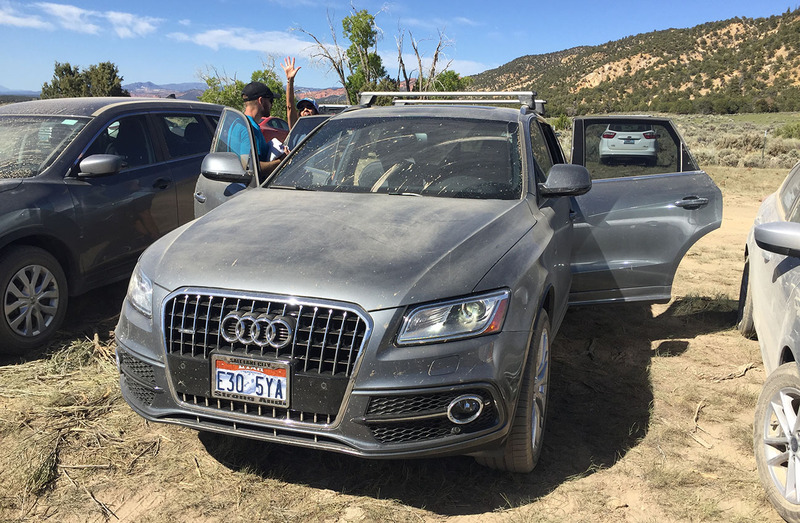 This entry was posted on June 5, 2018 at 6:29 am and is filed under Arizona, Legend, National Parks, Road Trip, Running, Utah. You can follow any responses to this entry through the RSS 2.0 feed. You can leave a response, or trackback from your own site. Always a good and entertaining read. I am behind on your posts, however. I guess it’s time to pour up a Dr. Pepper and indulge. It was a weekend for the books, that’s for certain! Come to think of it, aren’t they all? Def. Put that in your book! hahaha – watch that movie from the beginning and you’ll see yours truly about 30 min into it . . . I’m playing blackjack behind where the Snapple lady is dealing. Okay I totally tried finding you in that. My roommate owns the DVD. At 20 or so minutes in, they are driving out to visit Cousin Eddie in the trailer outside of town. 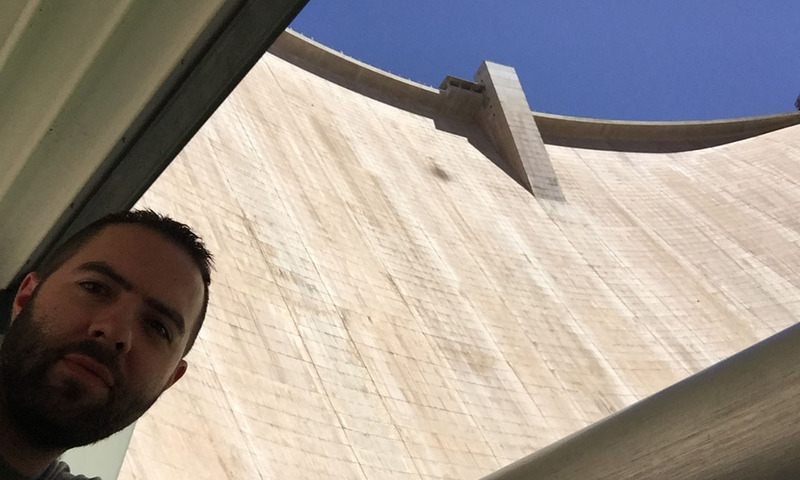 At 30 minutes it’s the Hoover Dam tour. After that they are gambling but I can’t see the part you’re talking about. Lol I’m determined. Great post! That tour of the dam was fantastic. I wonder how thick the walls of the dam are, to hold all of that water back? The scenery at Bryce Canyon looks amazing. I’ve gotten to several national parks in the east, but I definitely need to get out to the west, too. Nice to see the Legend getting some road action. How’s it running? I think you had said it’s burning some oil- any other updates to relay? The dam is 300 feet thick at the base. Pretty huge! 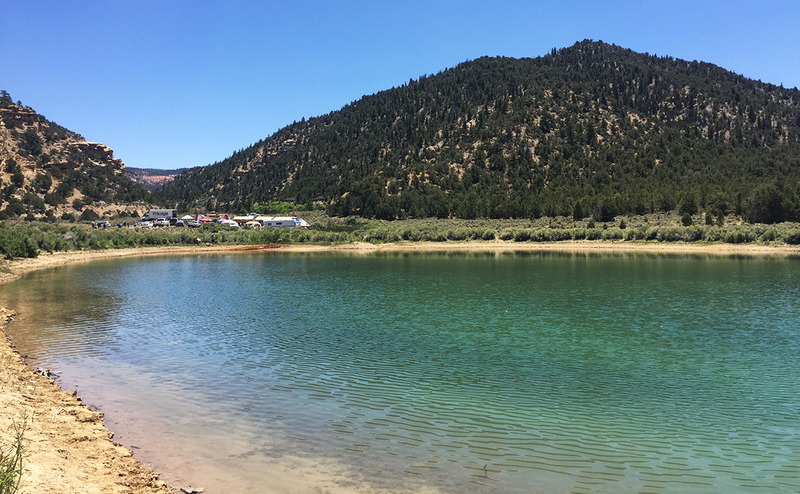 Apparently in the early 1980s there was a risk of the dam breaking – they had to divert water through some other channels to relieve some of the pressure before it started spilling over the top. The Legend ran fantastically this trip. I did add some power steering fluid about halfway through the trip but that’s about it. Haha I always forget that you’re dealing with the opposite temperatures that we are. I wish we could trade places from time to time. 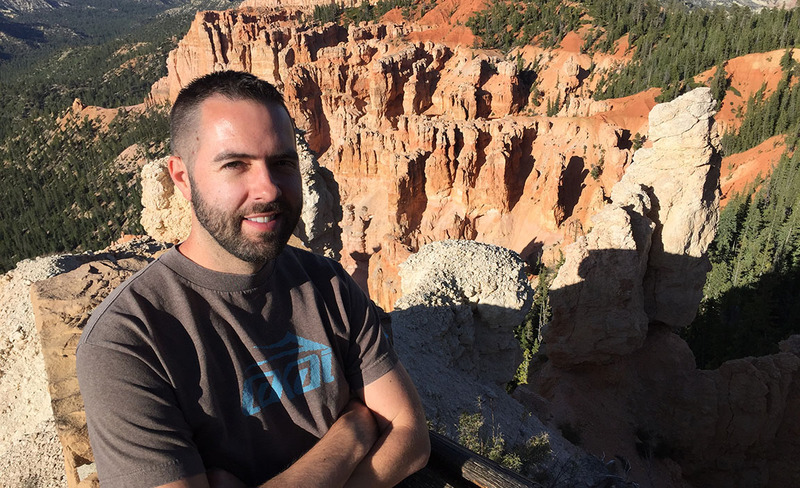 It’s been a little while since I saw some travels from you – I hope you have some trips up your sleeve for an upcoming blog entry! Relating to Cody’s comment, I was just thinking about Vegas Vacation while reading about your dam tour! Looks like my kind of weekend…views for days with cool temps. That Fiesta Mexicana plate has me drooling. Is that the same joint we sampled on the Antelope Canyon drive? Wow, good eye, YES it was Fiesta Mexicana that we went to when we were on the Antelope trip! Haha you’re good at recognizing a good burrito when you see one! I’ve been to Hoover Dam a couple times and it interesting how similar the two are but I guess you can’t t make dams that different. For decades I’ve threatened to drive up to Page and the surrounding areas just because it’s always looked fascinating and possibly because it’s been in so many movies. Sometime when I’m able to sit still for an hour and a half, I’m going to watch that documentary! I love learning about stuff like that. Traffic was next to nil on Highway 89 north of Phoenix. 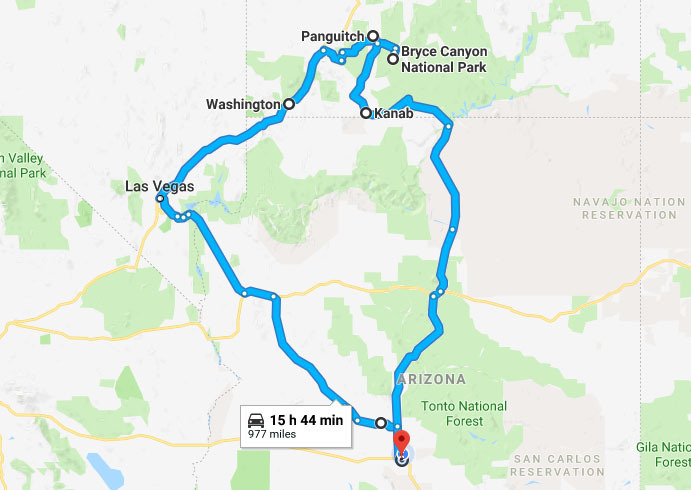 In fact, we felt like the timing for our trip was perfect because everyone did their vacations on Memorial Day the weekend prior and left the roadways empty for us. 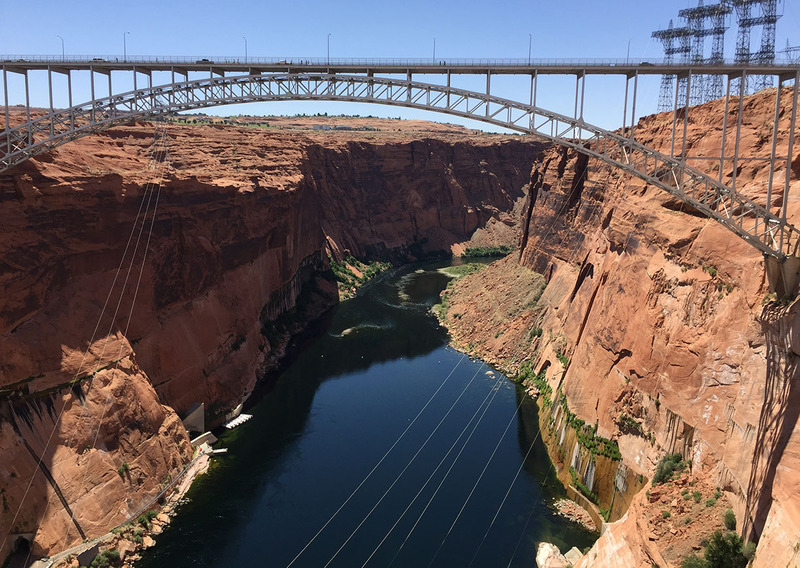 Highly recommend a trip to Page – and make sure you hit Horseshoe Bend and Antelope Canyon. I want to take a dam tour sometime. Hoover Dam was a possibility last summer, but I got to Nevada kinda late in the evening. Glad you had a good time! It’s hard to go wrong at Bryce. It’s such a stunning place. That lunch at Fiesta Mexicana looks pretty dam good as well. You can’t really screw up a burrito and refried beans! Speaking of, it’s lunchtime out this way. I’m typing this from the lobby of Pikes Peak Acura in Colorado Springs. 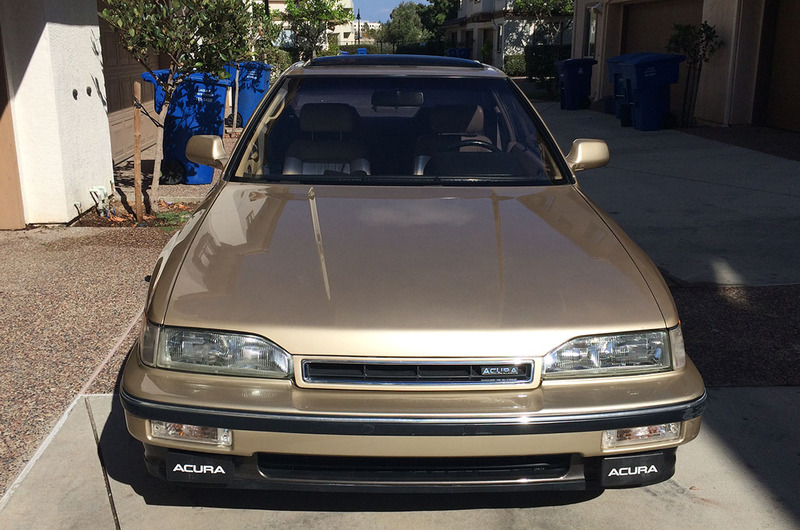 We’re planning next month’s Legend meet. You ought to fly on out! Jul 18-21. Have a dam good weekend, Brad. That’s a dam good idea! Thanks, and enjoy the weekend as well. Such a beautiful place and I literally laughed when I scrolled down to find you playing used car salesman in the middle of it! Haha, seriously. Had to squeeze that in somewhere. Just checking out your blog now as well! I seriously loved it! It was just, bam! 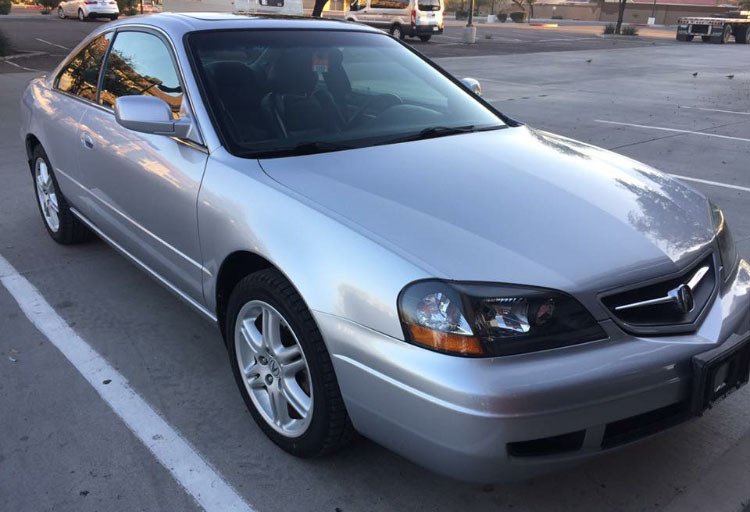 Buy a car? OK, no… back to beautiful Utah then.